A 30-year-old man has been wounded in a gun attack in northwest Dublin. He was shot several times as he sat in a car in Rusheeny Village in Clonsilla at around 9.30pm last night. 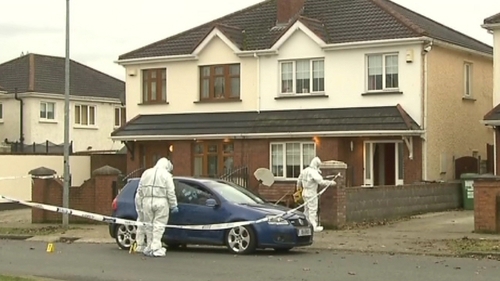 Gardaí are treating the attempted murder as a gangland attack. The area has been sealed off and an appeal has been made for witnesses. It is believed nine shots were fired at the victim by a gunman with a handgun. The man was hit five times - once in the arm, once in the leg and three times in the chest. He was taken by ambulance to Connolly Hospital in Blanchardstown, where he is still being treated. A car found burned out nearby is to be forensically examined. The victim was a music festival promoter and a national champion bodybuilder, who established a gym in Dublin. Detectives are now trying to establish a motive for the shooting. One line of inquiry is that the man could have been targeted by a criminal gang involved in extortion and business kidnappings.